American educational consultant and university admissions expert to share insights with the American Chamber of Commerce in Hong Kong on November 8th. Mark Montgomery, President of American Academic Advisors, will share his “Roadmap for US University Admissons” with members and guests of the American Chamber of Commerce in Hong Kong this week. The aim is to provide Chinese and American families with the knowledge necessary to successfully gain entrance to the right colleges and universities in the United States. 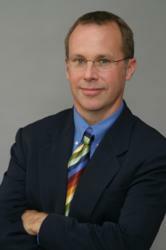 Dr. Montgomery also is president of Montgomery Educational Consulting, based in Denver, Colorado. Many families find it hard to understand exactly what admissions officers what to see in their applicants. I hope to shed light on how the process really works. A noted American university admissions expert will share his tips on selecting and applying to the right universities in the United States with members and guests of the American Chamber of Commerce in Hong Kong. Dr. Mark Montgomery, President of American Academic Advisors, will deliver a presentation entitled, “Roadmap to US University Admissions,” in which he provides practical guidance for students and parents who seek higher education opportunities in the US. The seminar aims to equip parents with the necessary tools to plan and manage the application process for their children in a structured and efficient manner. Topics will include an overview of the US higher education system, a discussion of what is the best university and what constitutes a “selective” university, an overview of what selective universities want to see in their applicants, and strategies to help students stand out from the tens of thousands of applicants the most selective universities receive each year. Dr. Montgomery will share his experiences in working with different students in the seminar, including many from Hong Kong and China. Any parent with school-age children considering higher education in the United States is welcome. The seminar will address concerns of both US citizens and citizens of other countries. The event will take place on November 8th from 8 to 9:30 am at the offices of the American Chamber of Commerce. Registration is required. To learn more about this seminar and to register, please see the event announcement on the website of the American Chamber of Commerce. Mark A. Montgomery, Ph.D., President of American Academic Advisors, is an experienced educator, academic administrator, admissions expert, and youth mentor. He has extensive experience in higher education in his various capacities with the University of Denver, Hong Kong University of Science and Technology, Harvard University and Yale University. He has played different roles in the education sector ranging from high school teacher, college professor, associate dean to professional education consultant. His clients include students bound for selective colleges, as well as late bloomers, under-achievers, and students with learning differences. Dr. Mark has helped Hong Kong students, both local and expatriate, to achieve their educational objectives since 2007. He earned his BA from Dartmouth College and his PhD from Tufts University. He was also a Fulbright teacher in France. To learn more about Dr. Montgomery and American Academic Advisors, please visit the company website at http://usacademic.hk, or email info (at) usacademic.hk, or call (+852) 2162 7415. Dr. Montgomery can also be reached in the US at 720.279.7577. The American Chamber of Commerce in Hong Kong is one of the largest American Chambers outside the US, the largest international chamber in Hong Kong and the most dynamic and influential international business organization in the Asia-Pacific region. To learn more about the American Chamber of Commerce in Hong Kong, please visit its website at http://amcham.org.hk.